If I was to believe a message sent to me from another Messianic Facebook (FB) person/ ‘Rabbi’ (no doubt feeling his big dollar budget for his ministry in jeopardy) this week, a recent visit to the UK back in Oct/ Nov 2010, the above title would have had to been renamed “Horrible Jew mockingly brainwashes Non-Jewish Children about Succot”. However, since many friends of mine (Messianic and Christian) on FB actually enjoy my output on FB and this blog, I decided to take this one message with a pinch of salt! This week (20th -26th March 2011) and the week before has been very eventful! The previous week I had to fend off the Jewish Adventist Friendship Centre for their displeasure of my article which deals with a Jewish Adventist position on the Trinity. Along with this, was yours truly, enduring sound bites of a recent radio show hosted by Dr. Michael Brown interviewing Ron Cantor on “Counter missionary Rabbis, Israel and the Palestinians…..” At one point in time, the interview descended into the typical whine re-echoed by Michael and Ron along with those Jews hell bent on converting Jews to a particular brand of Christianity. Namely, that Jews in general do not have a spiritual or personal connection with G-d by virtue of the counter missionary Rabbis doing a particularly good job at warding off Jews from Jesus. 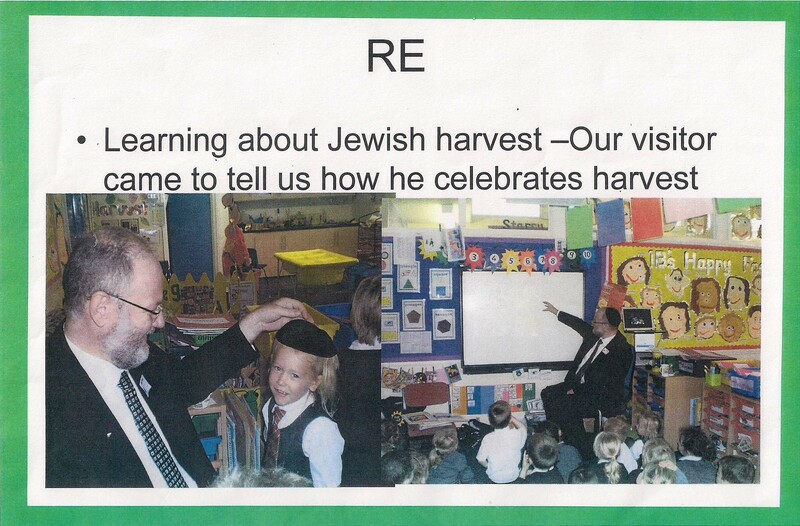 For good measure, they also added that the ‘ ”real” learned Ultra Orthodox Jews’ interacted with, in Michael’s and Ron’s respective neighborhoods, were also devoid of a spiritual or personal connection with G-d by virtue of…..well, just because Michael and Ron say so! Such are the machinations of some of the Messianic Jewish movements! With the above background in mind I was alerted through my Facebook page of the arrival/ presence of Stuart Dauerman in Israel. Now bear in mind that I have been trying to be Stuart’s friend on Facebook for close on a year now but he has never accepted that friend request! I hope to believe that since Stuart, a Ph.D. no less, with even more degrees than one can shake a stick at, has no time for somebody like myself, since he is and I am not (? ); “a popular speaker” to “many from the Jewish and Christian community” which “have been challenged, delighted and inspired by Rabbi Dauerman’s blend of intelligence and fervor”. Not being a friend on Facebook still allows for one to send a message via Facebook and so I sent a message to Stuart suggesting that we meet up at the Western Wall on Friday (25th March 2011) around 8.30am / 9am in the morning. A visit to the Western Wall I treat myself to at least once a month and so I was not holding my breath as far as hoping that Stuart would turn up either by saying that he would do so on Facebook or in actuality. Well, Stuart did not turn up at the Western Wall and I went about doing my own thing in the Old City as usual. 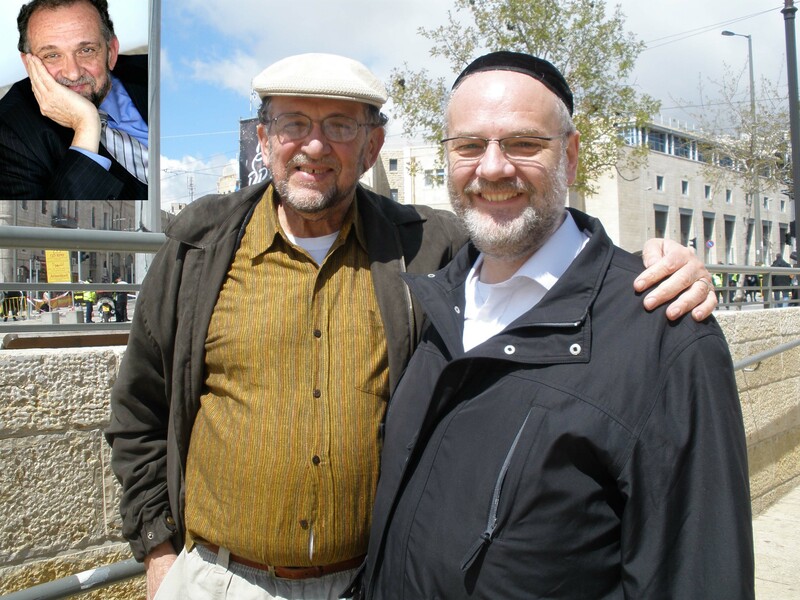 Around 11am I went out of the Old City via the Jaffa gate and on my way along the walk-way outside the Old City I spotted Stuart and a friend of his who turned out to be Elliot Klyman around 100 metres away and coming towards me. ‘Should I approach them’, ‘make myself known’, ‘this is the moment of truth’, were phrases that sprung to mind at that moment! It was almost like Jean Luke Picard of the Star Trek Enterprise saying “let us engage the borg! !” as I said “Stuart, Stuart Dauerman” as they approached closer. Stuart was somewhat shocked to say the least and asked me what my name was, to which I replied “Menashe Walsh”. I think that Stuart was somewhat relieved that I was not a member of some clandestine Mossad monitoring service or some other organization. You might say it was somewhat spooky!!! Well we chatted briefly and took a photo. Stuart gave me a copy of his book “Son of David, healing the vision of the Messianic Jewish Movement” and hopes to be back in Israel later in the year. Later I looked at Elliot’s Facebook page and similarly, Elliot had not responded to my friend request made a long time ago also! Regret that they had not taken up my offer to meet earlier in the day, I think there was. Will Stuart be in touch with me to meet up later after reading my blog, who knows? One thing for sure, G-d has it all worked out!! Did I read the book that Stuart gave me? Of course, do I agree…….book review to follow G-d willing! 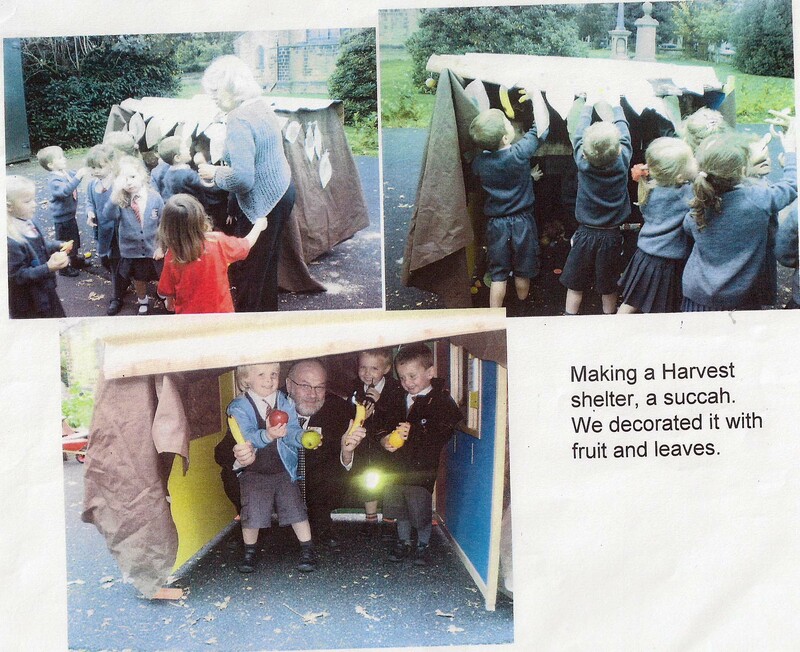 As a result, a new tab has been created on this blog “out and about” with Menashe and hopefully a new friend too!? The messianic Jewish movement needs its vision healing by consideration of a theme called the “Son of David”, according to author and former staff member of Jews for Jesus, Stuart Dauermann! The messianic Jewish movement is blind to the theme according to Stuart, along with the Church being blind to the Jewishness of Jesus. In a nutshell, the theme puts forward the idea that the Son of David has already fulfilled a certain amount and in a future sense, will yet fulfill, a messianic era primarily laid out by Ezekiel in chapter 37, what Stuart calls a ‘renewal of the messianic movement in Yeshua (Jesus)’. Ezekiel chapter 37 is one of many verses in the Jewish Scriptures that both Jews and Christians of all stripes can agree is a messianic passage dealing with a future messianic age. However, the book “Son of David”, has re-framed Ezekiel 37 to cover the time era of the New Testament too! An honest question to the above empirically provable features is how they were fulfilled to any degree in Jesus and his followers claim that he is the Messiah? In what appears to be a deliberate attempt to avoid the obvious problematic claims by the New Testament of over 300+ Old Testament prophecies fulfilled by Jesus, along with the faulty genealogy of Jesus. The book “Son of David”, instead zooms out and takes a more general approach, extensively quoting Christian scholarly sources to back the validity of the ‘healing vision’ and uses verses of the New Testament which have a very tenuous link indeed to Ezek 37. The tenuous link in Ezekiel 37 to the ‘messianic movement’s renewal in Yeshua’ is admitted by Stuart himself in a YouTube video because he is unable to say what it will look like or whether he will be alive when it happens sometime in the future. A discerning Jew who weighs all things equally with respect to missionary formulations to convince Jews to accept Jesus will know that missionaries have a burden of proof for their missionary formulations. The burden of proof being set against the empirically provable facts as outlined in the Jewish Scriptures with respect to a future messianic age. The empirically provable facts of the messianic age as described in the Jewish Scriptures stand in stark contrast to the very words of Jesus and the writers of the New Testament, a major weakness on the missionary’s part with respect to convincing Jews to accept Jesus! Added to the major weakness is an emotional desire expressed in the ‘Son of David’ theme. The emotional desire based on the collective experiential experience of Jesus, by believers of Jesus, to make Jesus fit the Jewish Scriptures. The emotional desire conveniently ignores animal sacrifices continuing in the messianic age by a Levitical priesthood as well as a temple building in Jerusalem, to offer them in. The emotional desire conveniently ignores that Jesus himself rejected the idea of Jerusalem playing any significant place in a future messianic era. In the case of the book “Son of David, Healing the Vision of the Messianic Jewish Movement”, something is indeed new in the battle to convince Jews to accept Jesus! Namely the desire to fit Jesus, the apostolic church, the present day church and the relatively new messianic movement into the future by tenuous/ contradictory links to the empirically provable features of Ezekiel 37. 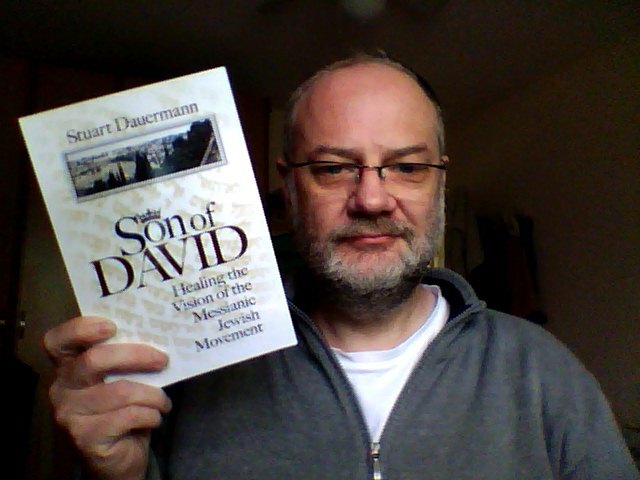 “Son of David, Healing the Vision of the Messianic Jewish Movement”, by Stuart Dauermann, page 5. (Quotes from back of sleeve of the book “Son of David, healing the vision of the Messianic Jewish Movement”). I urge you to order the Teaching on Hebrews from FFOZ.org (Shi’uraye Hebrews-Lessons from the book of Hebrews) It will put on a firm case that the book of Hebrews holds firm to the Temple and all that goes with that, the writer never meant such as what you portray. For we urge the Temple to be rebuilt! Shalom. Hbr 7:19 For the law made nothing perfect, but the bringing in of a better hope [did]; by the which we draw nigh unto God.